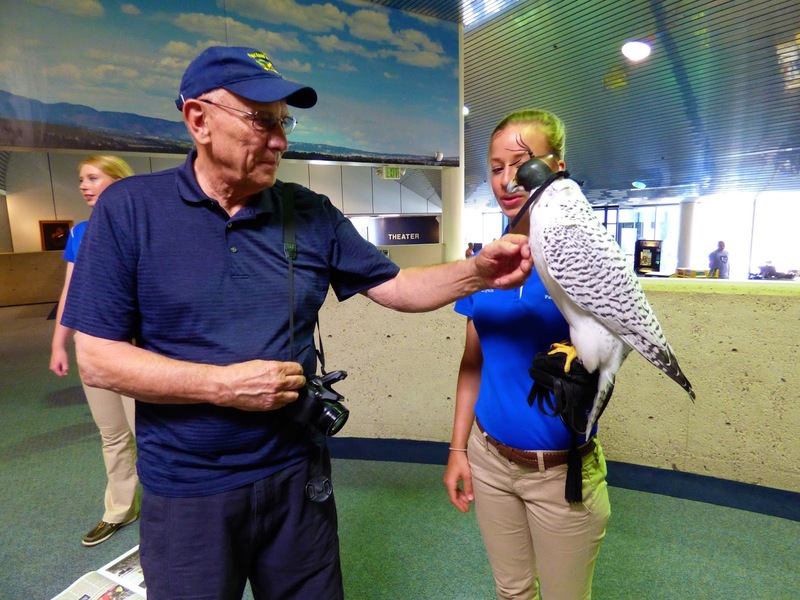 The Academy Visitor Center on Tuesday and Thursday between 1 and 3 bring two of the Falcons for close-up chance to pet and ask questions. 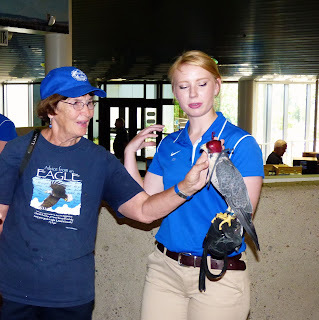 The Peregrine Falcons are housed in a building called the Muse and cared and trained by 12 cadets 7 days a week. 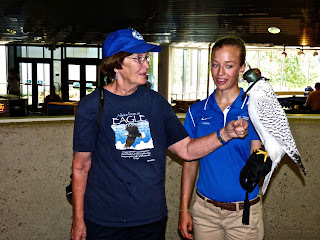 Falconry is an extracurricular activity offered to cadets. 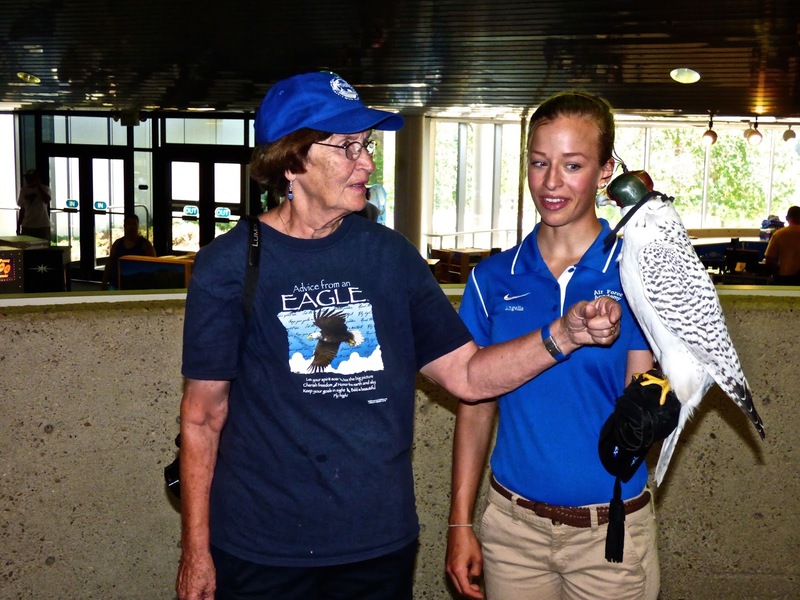 Each year 4 new cadets are chosen to replace graduating seniors. The Academy currently has around 13 falcons, almost all of which were bred at the falconry. Aurora is the current official mascot and is a beautiful white morph gyrfalcon, the largest of the true falcons. 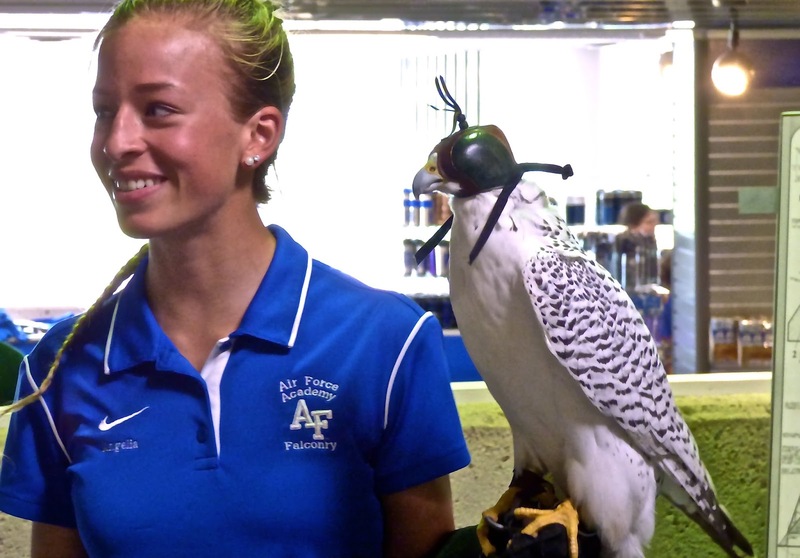 Falcons were chosen to represent the USAFA as the official mascot because of their speed, precision and keen eyesight. 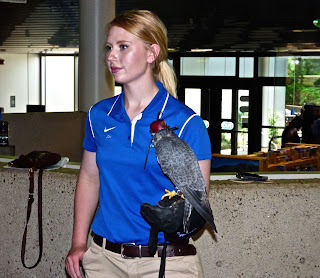 They are capable of seeing 8-10 times better than humans and can fly 200-250 mph in a downward swoop. This was truly a treat. 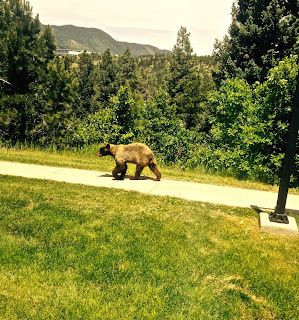 The Bear photo below unfortunately was not taken by me, but a friend of Lorraine's. 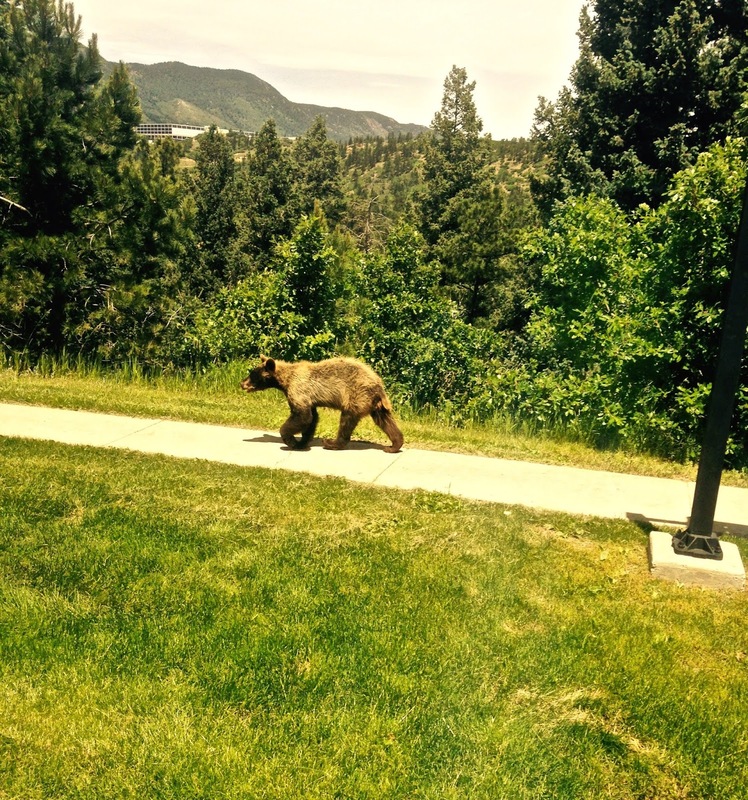 Wish I could have taken it.The bear was meandering on a path by the Falcon Club.